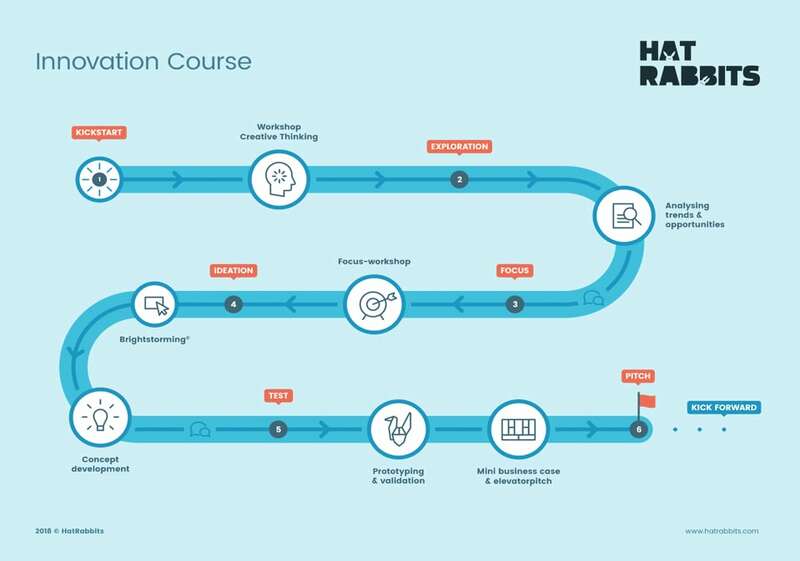 HatRabbits specialises in business creativity; the use of creativity to achieve business objectives. 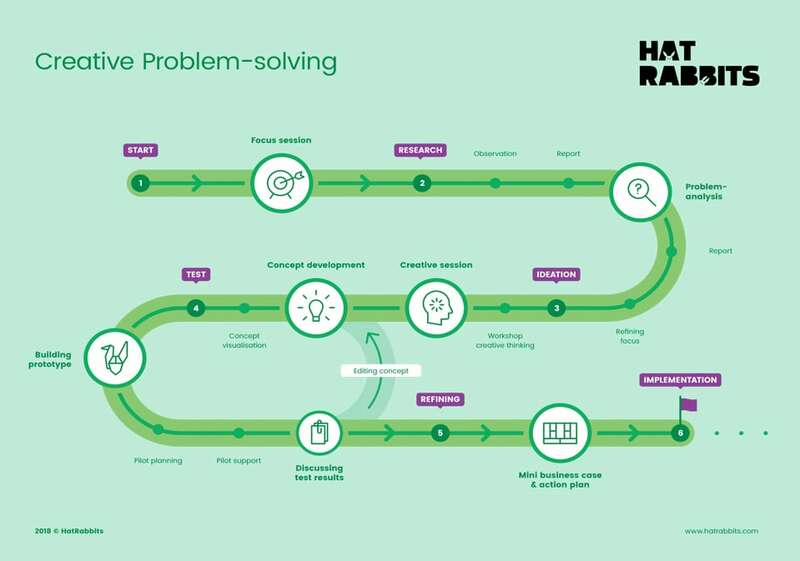 HatRabbits helps organisation to develop innovative solutions and ensure a broad support base for change. This course is all about awareness and increasing the creative thinking power of teams and individuals. We offer a wide variety of workshops on business creativity and innovation. Every third Tuesday of the month, we organise a workshop on creative problem-solving. We offer various incompany workshops on the topics of business creativity and innovation. Perfect for teams and departments. Looking for a creative training, workshop, teambuilding event or awayday? Contact us to discuss the possibilities. The Innovation Coach guides a project leader and his or her team during an innovation project. HatRabbits developed its own web application, allowing teams to generate creative ideas much more easily.